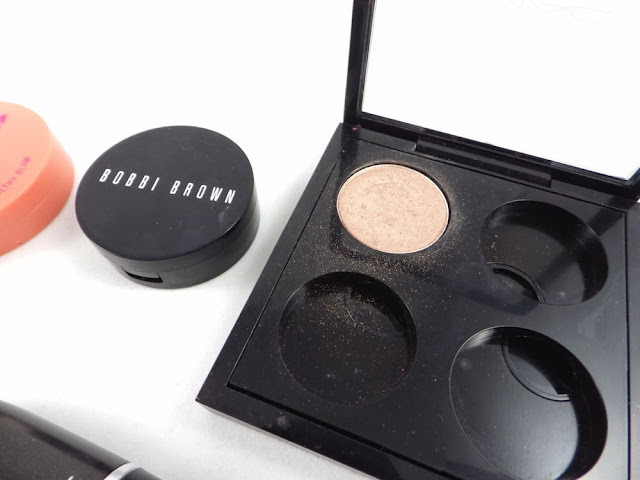 In 2013 I finally went to a Bobbi Brown counter and purchased their Corrector in Extra Light Bisque (review), which is probably my absolute favourite makeup discovery because I couldn't be without it now. I have circles under my eyes which are quite dark and pronounced, and this works so well at neutralising the dark aspect. The formula is hydrating and blends easily, providing a great base for concealer. One of my beauty resolutions I set at the beginning of 2013 was to try and sort out my weak nails. At the same time I was also struggling with really bad peeling nail varnish, meaning it would only last a few days maximum. 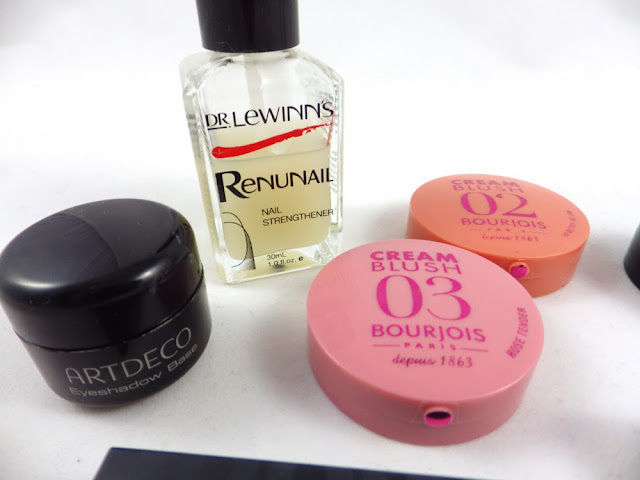 Dr LeWinn's Renunail Nail Strengthener* (review) solved both of these problems for me. I first used it as a 4 week intensive treatment and I now use it as a base coat. A star product. Another of my beauty resolutions was to sort out my brows. 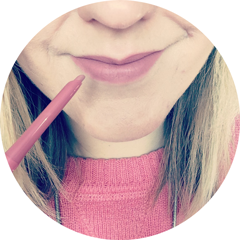 I had them professionally plucked for the first time and then discovered a fab brow beauty product in the form of Benefit Brow Zings in Light (review). It's a little set with wax, powder, mirror, mini tweezers and two mini brushes. It's expensive but the powder is the perfect colour for my brows (something I struggled to find) and just gives them super definition and shape. The next product I haven't been using very long, but I've decided to include it because since buying it my beloved Collection Lasting Perfection Concealer has been made redundant, which is a big thing! It is the Seventeen Stay Time 18 Hour Concealer in Extra Fair. The shade suits my pale skin perfectly and the formula is seriously creamy, which together equals natural coverage for both blemishes and dark circles. In the summer I became a cream blusher convert, thanks to the Bourjois Cream Blusher, which I have in 02 Healthy Glow (coral peach - review) and 03 Rose Tender (soft pink). The cream to powder formula lasts all day on my oily/combination skin and it's so, so easy to apply and blend, especially with the Real Techniques Stippling Brush. I love how natural it looks too. Unfortunately I haven't gotten round to fully reviewing my next favourite discovery, the ARTDECO Eyeshadow Base, which I received in a Love Me Beauty Box* quite awhile ago. It is a fantastic product and eyeshadow never goes on my eyes unless this is underneath. It neutralises any discolouration on the eyelid with a slight shimmer, makes my eyeshadow last through an 8 hour working day and makes the colour of my eyeshadow brighter and more intense. Finally, products that need little introduction - MAC Eyeshadow and Lipstick. I discovered the lipstick first and now have four - Hue, Plumful (review), Viva Glam V (review) and Creme Cup (review). I am eternally grateful to fellow blogger Clare for sending me my first MAC eyeshadow in All That Glitters (review) complete with a quad, which I hope to fill up in 2014! I just think that they are all of such a high quality due to the formulas and pigmentation. 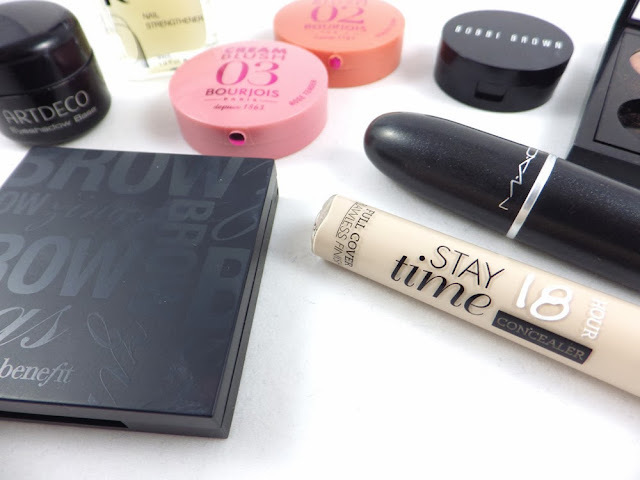 So these have been my favourite makeup discoveries of 2013! What have been your favourites? Are any of the products above on your list? This reminds be I still haven't tried any Bourjois cream blushes, need to get onto that! Fill up that MAC quad, you deserve a treat! 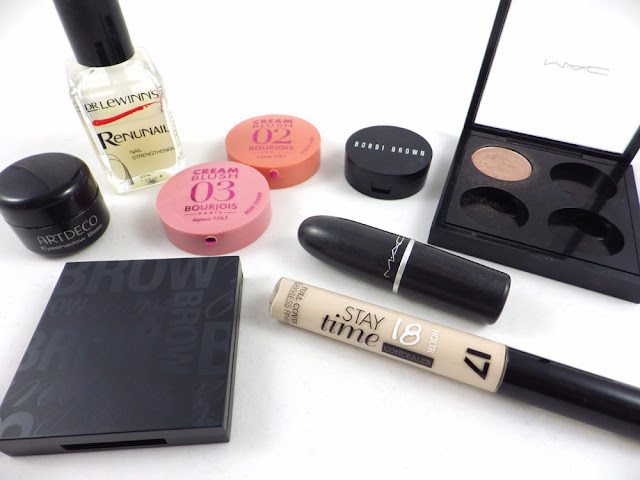 ;) I think Bourjois are my brand of the year!